Breeding sheep and goats is a very old tradition in Halkidiki dating back to ancient times. 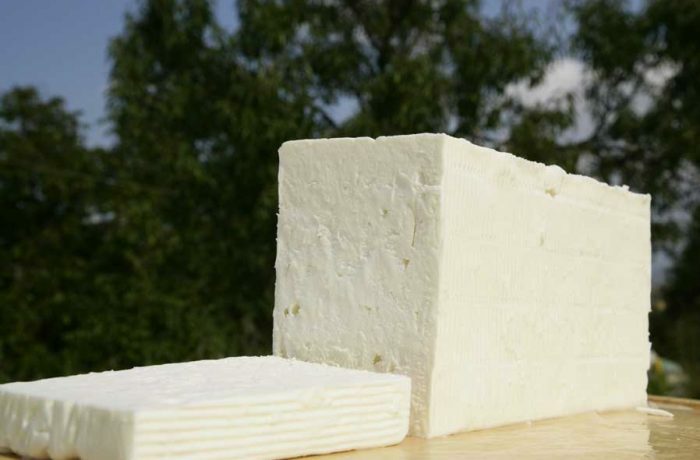 Thanks to the climate and soil conditions, the region's flora and the powerful tradition in cattle breeding, Halkidiki produces many dairy products -feta, organic goat cheese, myzithra, graviera and even butter- all with a rich, clean and pure taste. The traditional cheese of Halkidiki is produced from pure goat milk and has an increased content of protein. Most of the cattle-breeding units are located in Holomontas Mountain due to the special elements in its climate and ground that contribute to the favourable synthesis of the goat milk to the cheese production. With respect to tradition, the cattle breeders of Halkidiki produce significant quantities of goat cheese.